Playtonic Games Announces Major Yooka-Laylee Update! When Yooka-Laylee was released back in April, it got a… somewhat mixed reception. On the bright side, people generally quite like the characters, the core gameplay and the aesthetics, with reviews usually stating that the game followed Banjo’s lead pretty well in that respect. On the negative side though… well the complaints were pretty widespread. You had talk about dodgy camera controls, harking back to an issue the genre has had to deal with for decades. There were comments about random gameplay mechanics and elements that didn’t quite work (like mini games, butterfly collectables and minecart sections). Even the minor stuff got criticism here. Like the voice clips many reviewers considered grating. Fortunately though, it seems Playtonic Games has been listening! That’s because as the article title suggests, they’re patching up many of Yooka-Laylee’s faults with their next update. For example, the notoriously finicky minecarts and arcade games have received control improvements and design tweaks respectively. Which should improve two notoriously weak elements of the game. The Rampo boss fight has received improvements too. Again, it’s been a common target of criticism here, with comments about the sliding mechanics and their awkwardness being legion online. 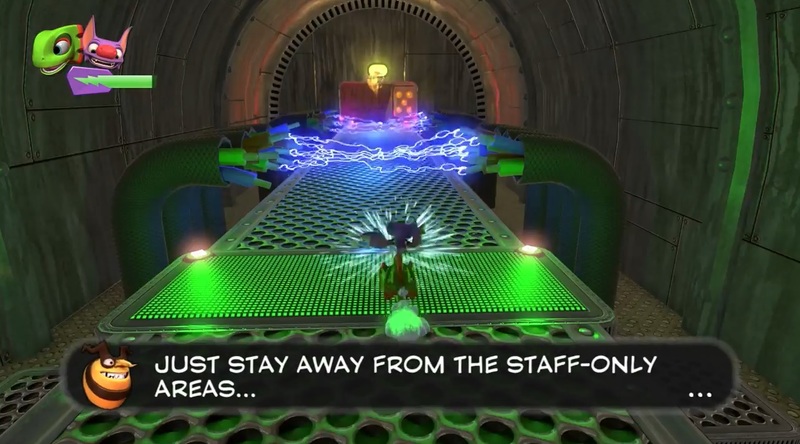 So Playtonic have made improvements to it too. Hopefully in a way that makes sliding back down the ramp less of a chore. Camera changes are included in the patch as well. For example, there are now ‘less scripted cameras’ and door cam changes here. This hopefully means it won’t change angle at a whim. Or say, wildly switch views mid jump like it sometimes does in the existing game. And for those who disliked the weird speech… well that’s been taken care of too. With both an option for shorter voice sound FX and a speech volume option. No more having to deal with annoying voices here! Add a few other changes too (like diagrams showing attack controls in the menu and cutscenes being skippable with the Y button), and you’ve got quite a few useful quality of life improvements for the game. Rest assured, Playtonic answers that in their post too. 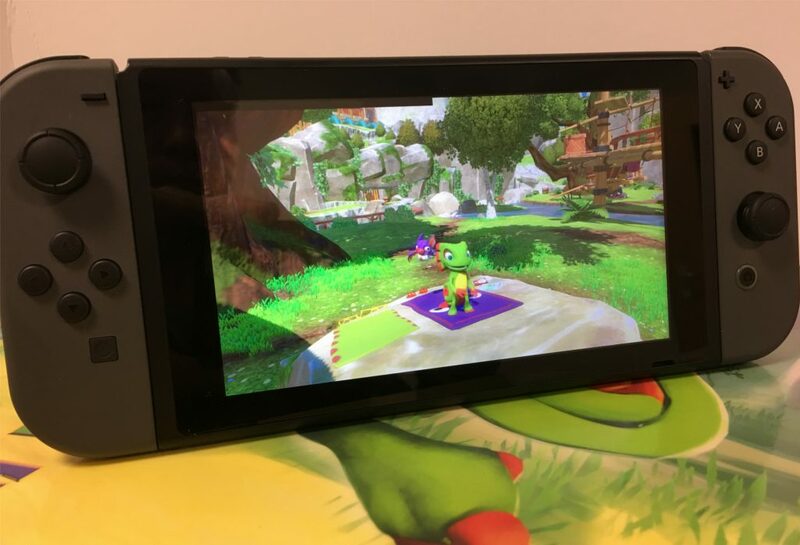 Indeed, they’re apparently near the ‘Nintendo Switch specific testing’ stage, with a final release coming shortly after. So assuming it goes well… You shouldn’t be waiting much longer for Yooka-Laylee. As you can see, it looks good! Just like the rest of the game really. It had a rough start, but it seems Playtonic is improving it significantly with the update here. So yeah, Yooka-Laylee is getting better. Let’s hope the updated game turns out to be the fantastic 3D platformer everyone was originally anticipating!